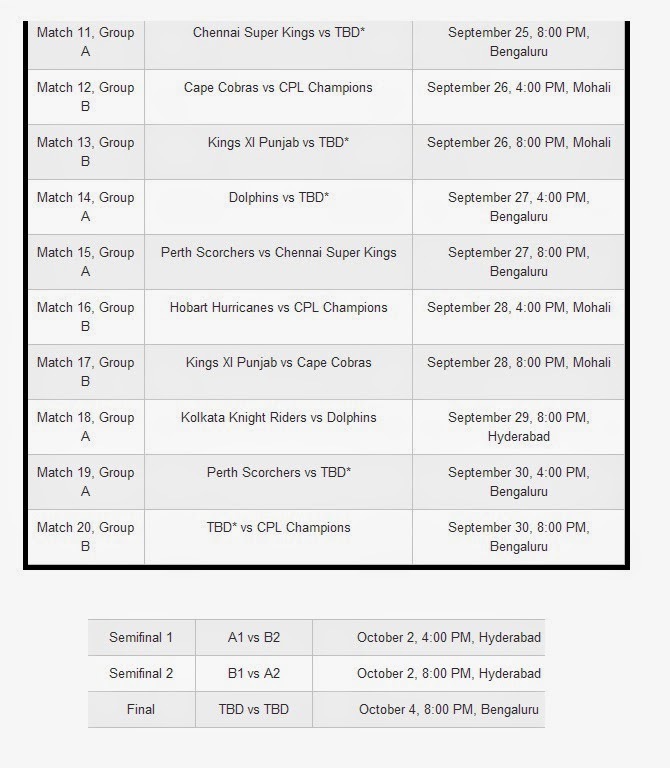 the sixth edition of Champions League 2014 will be played from 13th September 2014 In India in which league teams from around the world will be taking part. from 13th to 16th September the Qualifying matches will be played between different teams and from next day the round matches will start. 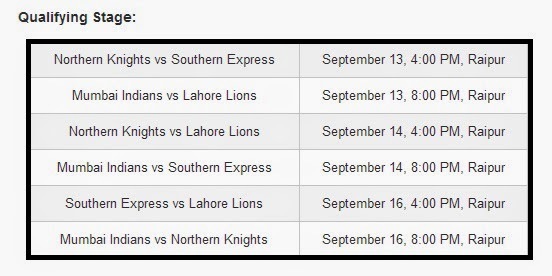 Pakistani team Lahore Lions is also going to participate in this league but it will have to play qualifying round to go to next round. 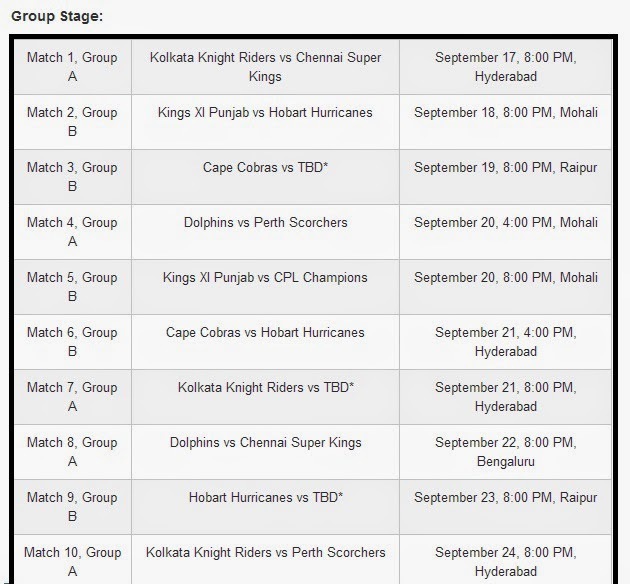 In total 29 matches will be played between different teams.